Philippa Langley, the amateur historian who found Richard III’s body. 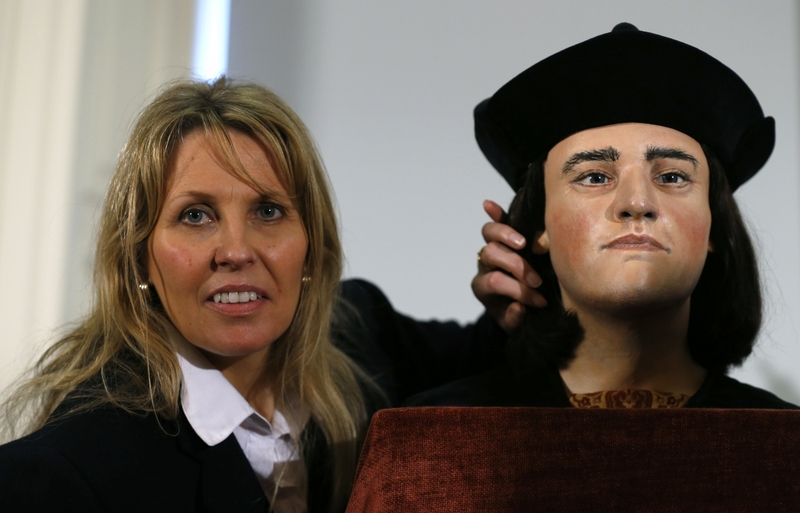 (Reuters)Some 527 years after Richard III was put in his grave at the end of a bitter battle in the English Midlands, the discovery of his remains underneath a Leicester car park and their removal started a new, bitter conflict drenched in the sectarian rhetoric of old. On one side, the city of Leicester’s institutions: its university, city council and cathedral. On the other, a loyal band of Yorkists, the Ricardians who will not let half a millennia of history stand in the way of what they say was Richard III’s wish – and right – to be buried in the ancient city of York. Read my article in full.